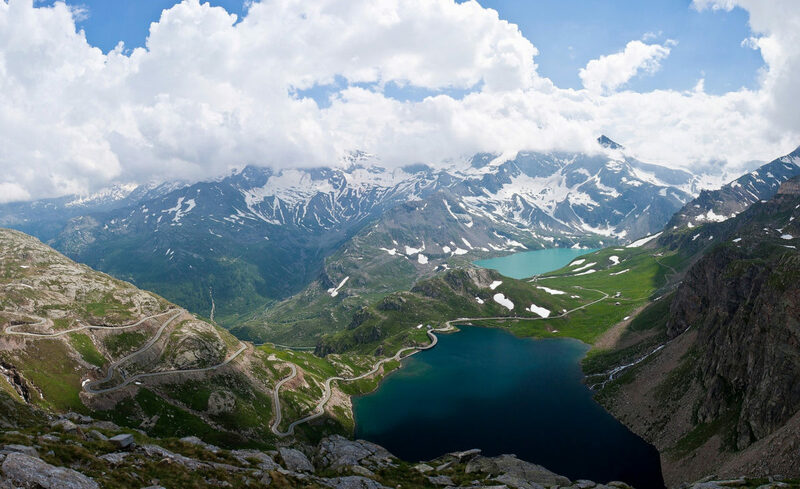 The Gran Paradiso National Park, founded on 3 December 1922, is the oldest Italian National Park. It is located between Valle d’Aosta and Piemonte, on the north-west part of Italy. On the French side, it borders with the Vanoise National Park. It has a surface of 71.100 hectares, mainly on a mountainous land. The Gran Paradiso (4061m) is the only peak over 4000 meters entirely in the Italian territory. The group of peaks from 3000 to 4000 in this area counts 59 glaciers. Within its territory the park counts big and suggestive lakes, like the Nivolet , the Leità and the Rosset Lakes. The park’s animal symbol is the ibex. The chamois, the marmots and the foxes are also widespread. Many couples of great eagles are counted in the park; about thirty years ago the lynx and the bearded vulture were re-introduced in the park. Trekking: In the first two days of trekking we will approach Mount Gran Paradiso and we will know the natural features of the Park. Mountaineering School: two days of instruction on the technique of glacier progression led by the Alpinism Instructors of the National School of Mountaineering of CAI. The participants will learn the required knowledge to proceed securely on the glacier. Ascent to Gran Paradiso (4061m): the final goal is to climb the Gran Paradiso, a wonderful mountain of our Alps! Participants arrivals at the Torino Caselle Airport no later than 14.00 or at Torino Porta Nuova Train Station no later than 13.30. Transfer by bus to Eaux Rousses in Valsavarenche. Overnight stay at the Hostellerie du Paradis. Trekking from Valsavarenche to Chabod Refuge. Short Via ferrata. Overnight stay. In the morning we’ll hike to reach Vittorio Emanuele Refuge. In the afternoon, lesson on the technical equipment and the progression on the glacier done by the Instructors. Instruction activity on glacier progression. Ascent to Gran Paradiso (4061m). Back to Vittorio Emanuele Refuge. In the afternoon we will go down to Pont in Valsavarenche. Bus transfer to Cogne. Farewell party and overnight stay at the Youth Hostel. In the early morning we will visit the Botanical Alpine Garden “Paradisia” in Valnontey. Transfer to Torino Train Station or Airport. This project, included in the Global Youth Summit Events, is dedicated to young boys and girls from 15 to 19 years old. DATES: From Sunday 9 July to Saturday 15 July, 2017. The registration deadline is 15 June, 2017. MEETING PLACE: Arrivals by plane: Sunday, 9 July at Torino Caselle Airport, no later than 14:00. Arrivals by train: Torino Porta Nuova Train Station no later than 13.30. Arrivals by car: meeting at Torino Porta Nuova Train Station or directly in Valsavarenche. COST: The cost is 300€ per person and includes: accommodation in Mountain Refuges or Youth Hostel, dinner, breakfast and packed lunches. Transfers by private bus from and to the airport and the Train Station. Ticket for the guided visit to the Botanical Alpine Garden in Cogne. IMPORTANT: Participants arriving by train: please do not book the return train leaving before 14.00. (2:00 pm.). Participants arriving by plane: please do not book the return flight leaving before 14:30 (2:30 p.m.) of 15 July .